The self-financed feature film has been selected to premiere at the Virgin Media Dublin International Film Festival on 23rd February in Cineworld. Written and directed by Irish filmmaker Shane J. Collins, ‘Dub Daze’ is a coming-of-age collection of stories set in the north, south, and centre of Dublin city. 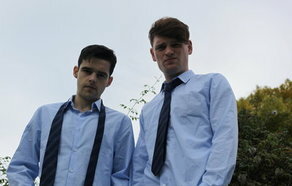 We get to meet Dan and Baz, two friends who are looking for kicks on their last day of school. Cork medical students Jack and Seán arrive in the capital to find their way amongst Ireland’s affluent youth, while songwriter Fi struggles to break through on the cut-throat Dublin music scene. Having attended both DIT and IADT, the film is a product of Collins’ education and a place where he got to know many of the 44 actors, producing 13 short films over 7 years. The film features a cast of Jack Hudson (‘Game of Thrones’, ‘Vivarium’), Mark Lawrence (‘Don’t Leave Home’), Sam Lucas Smith (‘Imperfect Sky’), Leah Moore, Ethan Dillon, Shane Robinson, Nigel Brennan and John Delaney. Filming took place over 10 months with a further nine months being spent in post-production, while the film features a cast of 44 new acting talents from The Gaiety, Bow Street, The Lir and DIT. The film's soundtrack features a number of upcoming Irish musicians including Brame & Hamo, Bantum, Laurie Shaw, Majestic Bears, Makings, Noel O'Brien, Indian, Rhob Cunningham, Sammy Dozens and This Side Up. The film's photography was taken by Jim Fuller aka “Dirty Dublin” and the official poster is being developed by street artists Subset.